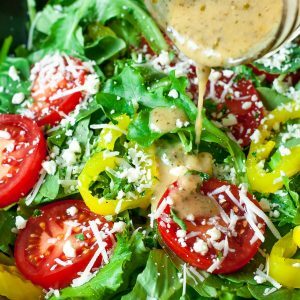 Ditch the sketchy processed bottled dressing and whip up this super quick, super easy homemade Greek dressing! Combine ingredients in a lidded jar and shake vigorously to emulsify. Allow to sit while you toss together your salad, then shake again before serving.